A fantastic location, perfect for a weekend break. A spacious apartment for two, with everything you need. Arrival and departure was simple and hassle free. Exactly what we needed.The pillows are so comfy! I would happily stay again. Everything! Beautiful apartment, perfect location for daytime and nightlife, nice neighbours, excellent accommodation, and the comfiest bed and best nights sleep in forever! I apparently can't add all the pictures from the apartment but it was astounding...we're considering relocating! 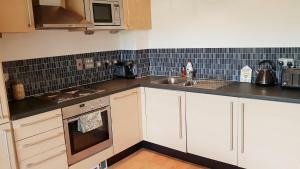 The Bed was very comfortable and lovely to have a well equipped kitchen, makes a change from staying in an hotel. Nice place to stay & every convenient to City. Would stay there again. Excellent location. Really friendly and helpful host- there was an issue with the oven and the host sorted this within the day. Excellent communication with the host as well.Host left extra comforts such as shower gel, shampoo and coffee- brilliant! Nice homely apartment and comfy Otty mattress. Nicely decorated apartment. wonderfull quiet apartment with stylish interior decoration in grey-soft-yellow, comfortable and lovley furnished bedroom, just 1-5min walking time to everything you need (Parking, food&co in Picadilly Station, Pubs and Restaurants, Gardens and...Manchester :))) very good WIFI and many TV-netflix-hub's-amazon for homely visitors like us. We've enjoyed our stay down to the wire and ..thx to Mat and Steph to share your 2. home with us. 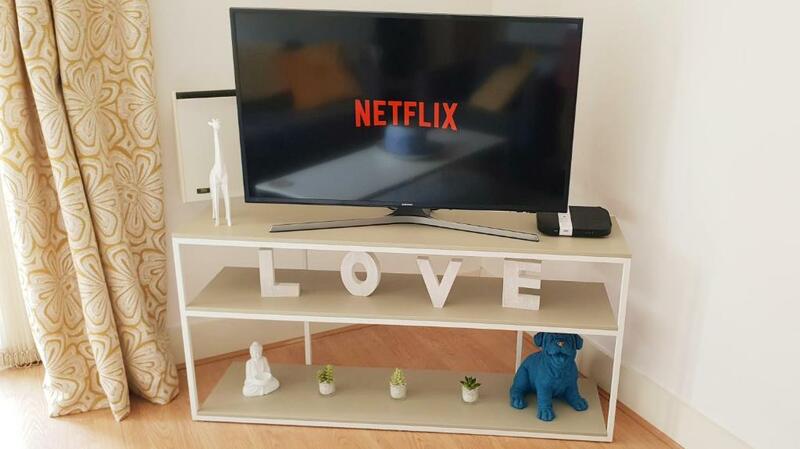 In Deutsch: Näher kann man in solch einem Ambiente der Innenstadt kaum kommen; uneinsichtige ebenerdige Terrasse, wundervoll eingerichte Wohung mit Top-internet/Fernsehen/netflix/Amazon prime. Check in ist problemlos, wenn man den Anweisungen folgt. Mat verlangt allerdings eine hinterlegte Kaution von 500BrPfund, was mir bei der Buchung nicht ganz klar war..geht problemlos per Kreditkarte 1h nach Ankunft. Es lohnt sich! Excellent hosts who provide great communication. 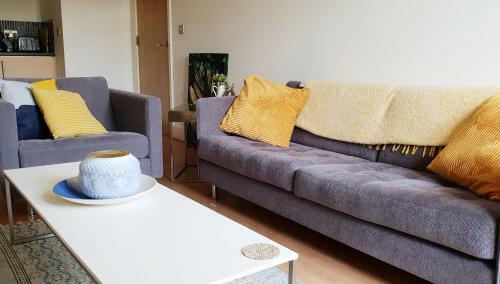 Conveniently located near Manchester Piccadilly station and a few minutes walk from the city center. Even though located near to the train station, it's very quite so you can enjoy a good nights sleep without disruptions. 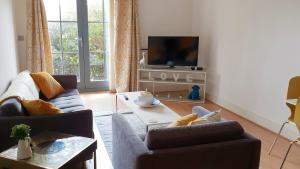 Very clean and comfortable apartment, with all the required facilities to full enjoy your stay. Would definitely recommend to all future travelers and will definitely be my first choice if visiting again. Lock in a great price for Modern City Centre Apartment - rated 9 by recent guests. 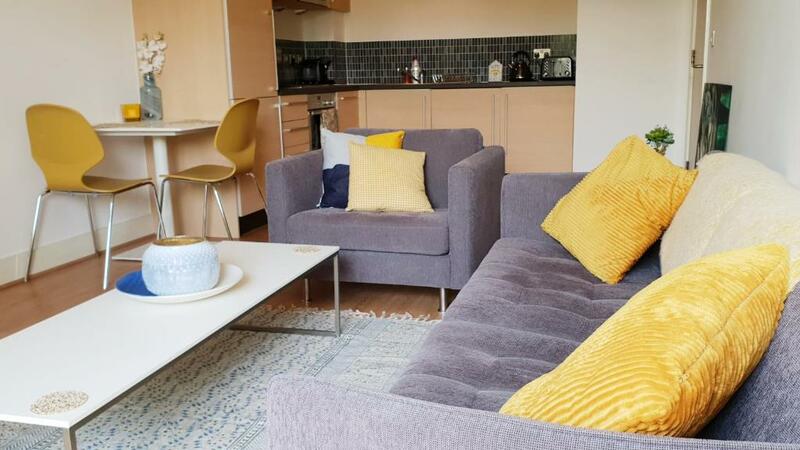 Boasting a terrace, Modern City Centre Apartment is conveniently located in Manchester City Centre district of Manchester, 900 yards from Greater Manchester Police Museum. The property is 0.7 miles from Canal Street and 0.8 miles from The Palace Theatre. The apartment has 1 bedroom and 3 bathrooms with a bath. There is a seating area and a kitchen equipped with an oven. Manchester Apollo is 0.9 miles from the apartment, while Manchester Central Library is 1 miles away. The nearest airport is Manchester Airport, 9.3 miles from the property. 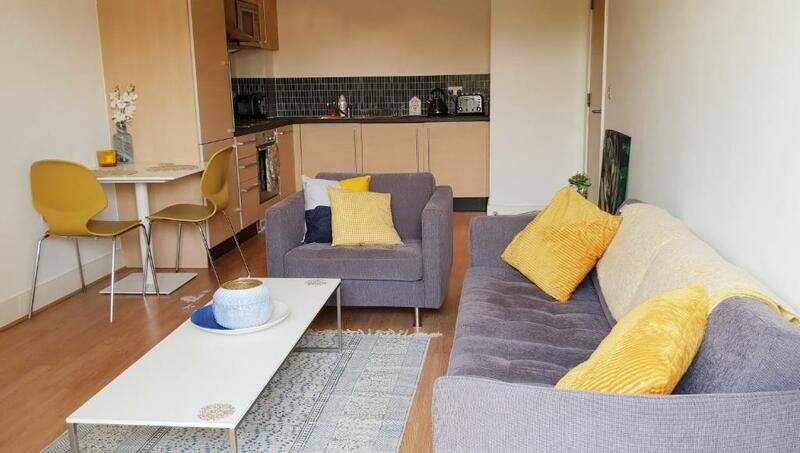 Modern City Centre Apartment has been welcoming Booking.com guests since 16 May 2018. 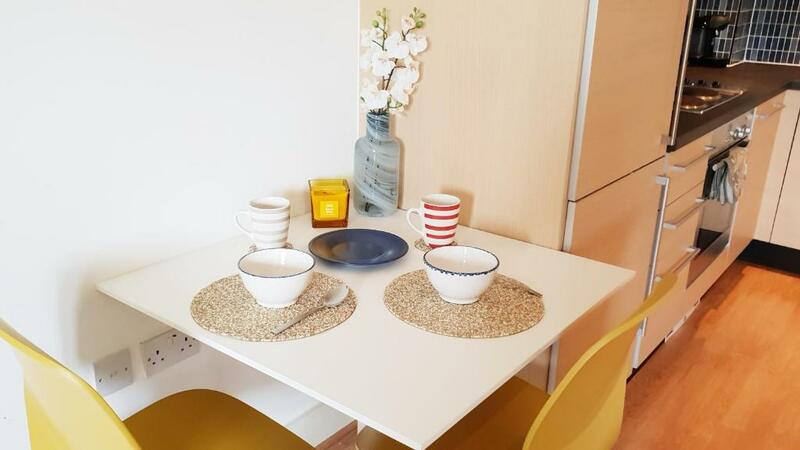 When would you like to stay at Modern City Centre Apartment? 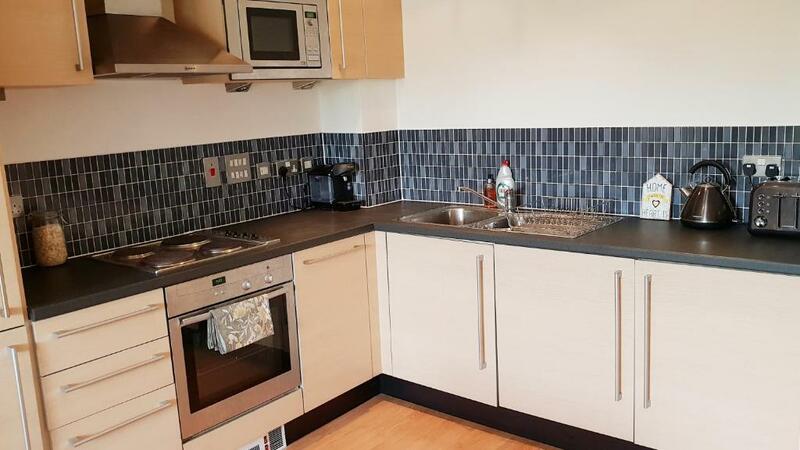 This apartment has a patio, toaster and microwave. Private parking is possible at a location nearby (reservation is not needed) and costs GBP 3.50 per day. House rules Modern City Centre Apartment takes special requests - add in the next step! I had to transfer GBP 200 as a deposit which was returned after my stay. However, when transferring funds internationally, there are always huge costs. All in all, I had additional costs of about GBP 40 which were debited by the banks involved in the transactions. Furthermore, I didn't receive the deposit back automatically as it was stated in the confirmation; I had to take the initiative to claim back the funds. That I had to make a deposit was only mentioned in the small print when I booked the apartment. Had I known about the deposit, I would have never booked it. I clearly feel overcharged! I enjoyed everything about this apartment and my stay there. Bedding and towels had horrid damp smell- this is obviously the cleaners fault, not the host. Nothing ! it was all fine.